Oscar Wilde is one of the most tragic and outstanding figures in the history of English literature. During the eighties, he created a cycle of tales. Pictorial, poetic forms combine in these tales with a serious humanistic content. Wilde seeks to find out what is essential to people - good or beauty. The answers in all fairytales are the same: the good and devotion to others are much higher and more significant than beauty. Wilde’s heroes of fairy tales are aesthetes, being in the same manner passionately in love with the beauty as the author was. However, faced with the grief and misery, Wilde’s characters sacrifice everything in their desire to help people, including their desire for beauty. Taking into consideration the fairy tale The Nightingale and the Rose, the reader, first, pays attention to the original form and original content. He/she sees its uncommonness, notes situation, the lyricism of style and content of the opus. The writer’s theme of this fairy tale is next what draws one’s attention. The Student is crying because his garden does not have a red rose, and this fact affects the happiness of the Student’s life and love. The author tells about the Student’s misfortune applying the graduation: first, a Student only “exclaims” that a girl would not dance with him, because he cannot bring a rose. Then, he cries, “... sorrow has set her seal upon his brow” (Wilde). After that, the Student whispers that his heart will break, and in the end, the young man falls face down on the grass. The Nightingale sees his emotions, thinking about the mystery of love. The author shows how attentive is the Nightingale to what is going on, and how a miracle of love worries her. For the first time hearing about the misfortune of the Student, the Nightingale “looked out through the leaves, and wondered” (Wilde). “Here at last is a true lover,” (Wilde) - she said, while saw the young Student’s tears. The little bird heard whispers about the unbearable suffering that appears when a person loves; a heart breaks not only because of happiness, but also because of grief. This caused the thought of the little Nightingale to experience love in action that is, in life, all its joys and sorrows. The Nightingale is opposed to the “little” Lizard, a Butterfly “fluttering about after a sunbeam” (Wilde), and the gentle Daisy. They have not experienced love and do not even know this feeling and, therefore, find it funny. The most part of the fairy tale is the narration of how the Nightingale seeks to find a rose. Three times, as usual in fairytales, she tries to get things done. However, in order to achieve something, the bird has to sacrifice. The Nightingale does not hesitate to agree to “build it out of music by moonlight” (Wilde). She sings all night with the thorn in her breast. She understands that “Death is a great price to pay for a red rose, and Life is very dear to all” (Wilde). Despite of that, she knows that “Love is better than Life” (Wilde), and she agrees to a beautiful death. Before that, the Nightingale sang her last song to the Oak-tree. Only the Student has not heard the song, he accused the Nightingale in formalism, in the fact that her art has no practical value and that the Nightingale, a “master of form”, will never sacrifice herself. The author then shows us how quickly the Student stops thinking about his love as once again begins to argue on the basis of read thoughts, but he actually notices nothing of the things that occur in the natural world and around him; however, it will be discussed later. The Student felt asleep very quickly, but the Nightingale was singing about love all night. The author narrates in the outstanding manner about her and her singing, about how roses unfurl petal by petal. Epithets and comparisons used by the author help the reader to imagine the beauty of the things going on: “Pale was it, at first, as the mist that hangs over the river - pale as the feet of the morning, and silver as the wings of the dawn” (Wilde). Wilde laid it on with a trowel to draw the burning picture. Particularly strong feelings cause replays that show the suffering of the Nightingale, such as “the Nightingale pressed closer against the thorn, and louder and louder grew her song”, “bitter, bitter was the pain, and wilder and wilder grew her song”, “fainter and fainter grew her song” (Wilde). All the torment she has overcome, because she sang about “the Love that does not in the tomb” (Wilde). A gnomical expression of the sublime nature is winding the reader on an acute mood, forcing to think about the destiny of a person, as well as perfect things in life and art, which are especially crucial for understanding of an artistic world of Oscar Wilde, who believed that there are not so much beautiful things. The proof of this is the continuation of the tale. The Student, who successfully woke up “at noon” (Wilde), saw that his dream came true and again began to talk about things he had read in books, about Latin namatophilous of roses, and then tore it off. It is essential to note that the Student did not forget to take a hat, - another significant artistic detail, indicating his utility. When the author narrates about the Student and his lover, the style of narration is on the ebb. It is pivotal to emphasize that despite the fact that the Student said fair words, “the girl frowned” (Wilde). Apparently, they were not pained. Despite of this, she was also unworthy of this rose: she has chosen her “real jewels”, because “everybody knows that jewels cost far more than flowers” (Wilde). The Student accused her in the ingratitude and threw the rose on the ground, where it was crushed by the cartwheel. In the end, it turns out that the Student and the girl have different systems of values: the girl thinks it is crucial to have “silver buckles as the Chamberlain's nephew has” (Wilde). The Student, who does not know a real love, concludes that in the pragmatic epoch, there is no sense in love, and it is better to concern himself with a philosophy. Again, there is a significant detail in front of the readers’ eyes, namely a “great dusty book”, which the Student began to read and which tells the readers about the seclusion from the world of the Wilde’s hero. It is essential to talk about the conclusion, which makes a person, who reads the tale. He/she thinks about how wonderful the Nightingale was: a bird, who did not grudge her life for the sake of love. She made a dream come true, a thing about which she sang. Her amenities are love, sacrifice, beauty, action. She wanted to help people become happy by the price of her life. However, the man was deaf to the beauty; as it happens, a real life has other amenities. As a result, the Nightingale dies; a small gray bird that is ready to be self-sacrificed for the real life’s sake. People often create a false system of values. A tale comprises an answer on the question: “What prevents people from seeing beauty?” Own pride, selfishness, unwillingness to think and be careful, - that is an answer. The hero is alone with dusty books, the heroine is with precious stones, and the little bird becomes immortal. The immortality is bestowed only to a person, who has lived truly in behalf of people, good and not feeling sorry. Certainly, an art evokes the best in the person, and the person should be able to hear it. However, apparently, a person cannot have anything at the expense of others. First of all, it concerns spiritual amenities. Probably, a person should come through a lot of things in order to understand them. There is no such a thing as a free lunch. Oscar Wilde lived in a time, when it was claimed that there is nothing of value for an art. Oscar Wilde believed that the beauty lives in the arts. Assigning such a severe role to an art, he dreamed that it may somehow affect the life. Otherwise, there would have never been created works, in which readers could see and compare themselves with those characters, who tell a reader about the true values. With his talent, Oscar Wilde serves people in the same manner as the Nightingale in the tale is trying to help the Student. A fairytale is called The Nightingale and the Rose. Often, the name comprises the main point of the work, an art idea of the ? ?narrative, the aim of the written work. It could be preferable to name a fairy tale just The Nightingale, because she is the mouthpiece of the author's intention. It is the way, through which the author conveys his vision of the world, his attitude to life and art. She is the protagonist. The word “rose” in the story is written in small letters. As a rule, only animate characters in fairy tales are written with a capital one. In this case, the author does not consider it to be a character; it is rather an object, a thing, an item, through which he expresses his ideas. However, it is a highly significant thing; probably, that is why in the title this word is spelled with a capital letter. Images of the Student and the girl (a small letter should be noted) contrast the image of the Nightingale. The Student may be awake, because he still dreams of love. Only the girl severely contaminated the spirit of practicality. The Butterfly, the Daisy and the Lizard are not ready for love. For them, the beauty is a ray of sunshine, crawling along the ground; however, the little Lizard tends to cynicism. Only the Oak-tree “was very fond of the little Nightingale who had built her nest in his branches” (Wilde). He understood the little bird and grieved, when the Nightingale was gone. 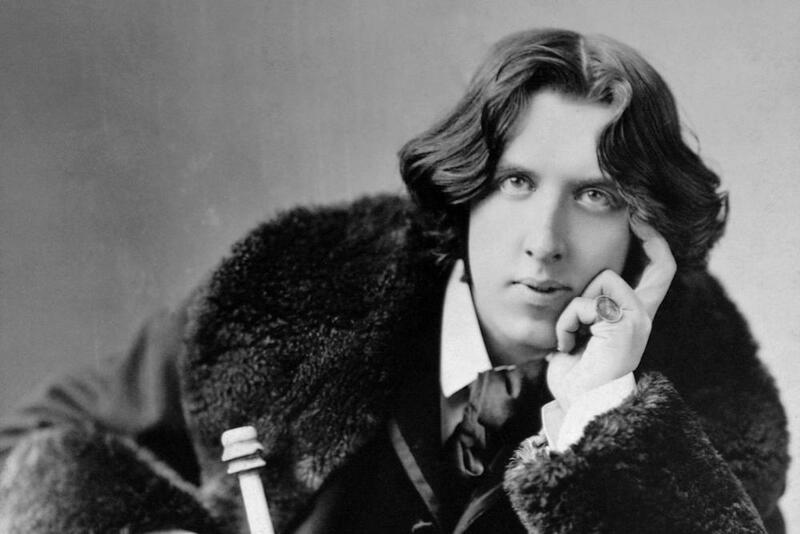 To make a conclusion, it should be noted that after reading a story, a reader begins to understand and appreciate the works written by Oscar Wilde. The reason is simple: they are imbued with a profound humanity and awaken in readers dreams for a real life, where there is a place for Love, Courage and Beauty. It contributes towards the emergence of the desire to live, act and look at a real life, not indulging a vain hope and hiding behind own illusions. Being such a mysterious and incomprehensible writer at first glance, Wilde teaches us to peer into the life. In case, a reader feels that his or her life is not good enough, Oscar Wilde shows him or her a real art, which tells a reader only about outweep, pained and redeemed by the blood of the heart things. Wilde, Oscar. The Nightingale and the Rose. American literature, n.d.Web. 25 Oct. 2013.